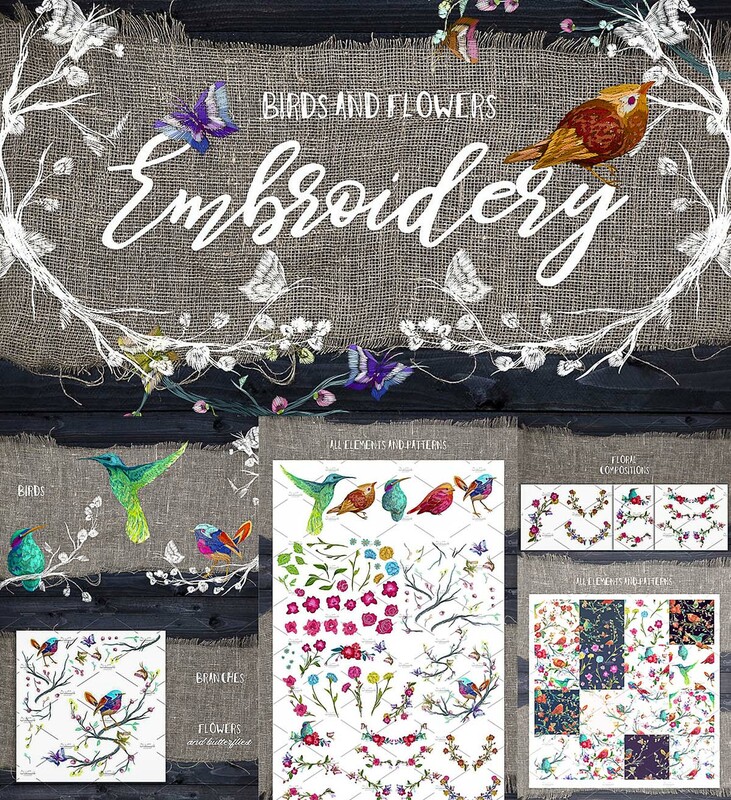 Set of 5 birds, 15 seamless patterns and many flowers, leaves, branches. File format: .eps, .png for Photoshop or other software. Tags: Bird, cute, embrodiery, floral pattern, flower, lace, leaf, patch, rose, wedding, wreath.